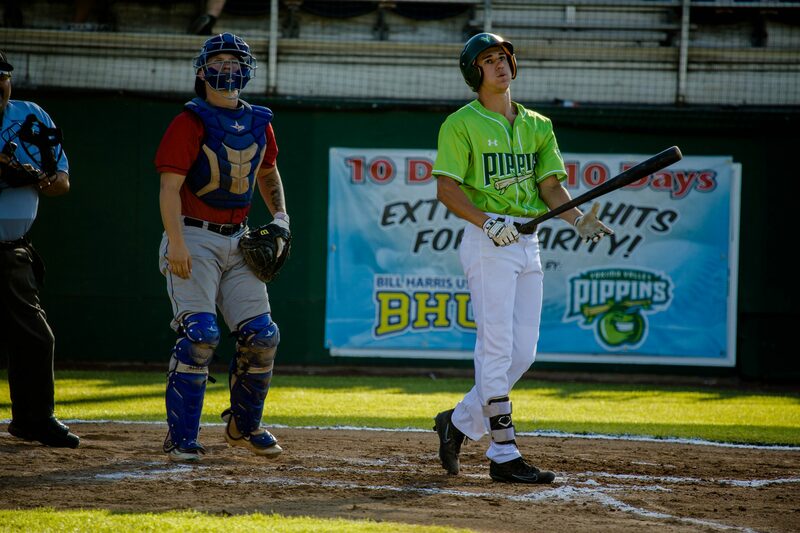 The loss dropped the first-place Pippins to 12-5 in the second half in the WCL’s North Division, but didn’t hurt YV’s 1 ½-game lead over Bellingham, which fell 6-4 to Portland. Kelowna, currently third in the North and three games behind the Pippins, dropped its fourth straight game, 6-1 to Corvallis. In the ninth, Nick DiCarlo led off with a double, and later advanced to third on a wild pitch. Tyler Lasch followed with an infield pop up that dropped between three Black Bears for an infield single. After a strikeout, Cody Jefferis’ fielder’s choice grounder back to the pitcher plated DiCarlo to pull the Pippins within one. Pinch-hitter Chris Arpan’s high hopper to short was booted, but Cowlitz closer Issac Mullins got a groundout to end the game for his sixth save in seven opportunities. The Pippins, who finished with eight hits, had ample opportunities to score but didn’t get on the scoreboard until Bryce Wooldridge scored on a bases-loaded wild pitch with no outs in the sixth. Wooldridge, who led the Pippins with a 3-for-4 effort, singled to start the inning, and Cole Pofek (2-for-3) followed with a walk. A walk to Robert Ball preceded Wooldridge’s score, but the Pippins couldn’t get the tying run across the plate as a line-out to shortstop, a strikeout and an infield fly out ended the inning. Cowlitz got all the runs it needed in the first on a two-out, three-run home run by Andrew Walling – his first hit as a Black Bear. The Pippins would have been out of the inning without any damage, but a one-out error started the rally, and a two-out double set up Walling’s blast. Walling finished 3-for-3, and Tanner Parker was 3-for-4. YV’s Cullen Kafka fell to 3-3 with the loss. The right-hander struck out six and walked three in 5 1/3 innings, while scattering eight hits. All three runs charged to Kafka were unearned. Tanner Inouye struck out three and walked one in 2 2/3 innings of relief. 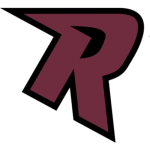 Yakima Valley left the bases loaded in the second inning, and stranded two runners in the third, fourth, fifth and sixth inning, as well as the ninth.